Buy Give Us the Vote! Use Rewards for Give Us the Vote! Proof from history: don’t take no for an answer if you want to change the world. A gripping true story. England’s women want the vote. (Not all of them, but plenty.) They ask nicely. Nobody listens. So they ask again – louder. Will their demands be heard? 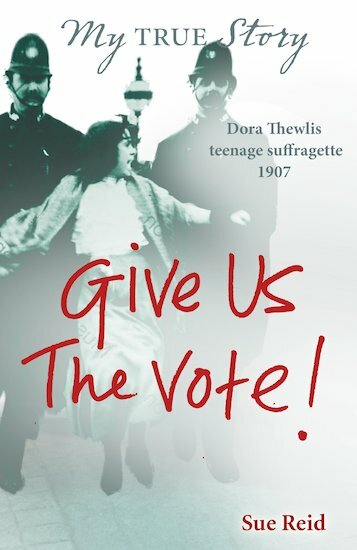 Dora Thewlis is sixteen. She works a ten-hour day at the loom. But she longs for a better world. So this young weaver from Huddersfield joins a march in London calling for the women’s vote. She is arrested outside the Houses of Parliament – becoming front page news. Will her fiery spirit survive prison? And would you have the guts to fight for your rights like the real-life ‘Baby Suffragette’?